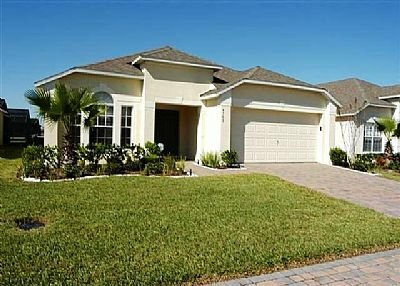 Just 10 minutes from Disney and all the attractions, This luxurious 4 bedroom, 3 bathroom villa has all of the upgrades you need to make it your home from home. The villa is south west facing, so when you have had a busy day at the theme parks you can relax with a bbq around the pool, with its covered lania & ceiling fan to watch the sun go down.There is an xbox in the Disney room and a fully fitted Games room,with pool table, football, dart board and a fun exercise bike. There is also a table with 4 chairs to play,dominos, cards, chess or one of the many board games that are stored in the unit.All bedrooms are individually designed with luxurious fittings, have ceiling fans and T.Vs .Hair dryers are fitted in all of the stunning bathrooms. Cumbrian Lakes is a private gated community,with stunning lakes, walk ways, childrens play area,and lots of wildlife, close to Highway 192, which has numerous restaurants, shops and entertainment like Crazy Golf. It is one of the most sought after bases from which to explore the magic world of Disney. The estates facilities include a childrens play area and lakes for fishing and a scenic path to take a leisurely stroll around the lake and enjoy the beautiful surroundings. For the golfer there are many courses all of which offer high quality facilities to enjoy in the all year round sunshine. All bedrooms are individually designed with luxurious fittings, have ceiling fans and T.Vs All linen and towels are provided, hair dryers are fitted in all of the stunning bathrooms. The kitchen is fully equipped, with many, many extras including: dishwasher, ice maker, electric kettle, microwave etc There are smoke detectors throughout the villa, a fire extinguisher and a monitored burglar alarm system for extra peace of mind. There is a travel cot available for younger guests.